David Love property is a fast growing family based local company that is trading in Central Scotland since 2001 in various areas of Edinburgh, Dalkeith and Midlothian. We are a team of highly experienced plumbers who specialized in gutter repair, installation and cleaning. 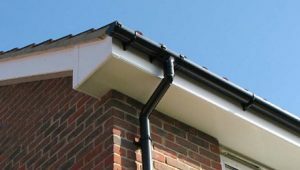 Our work is mainly aimed at cleaning, installing and repairing the gutters in both domestic and commercial sectors. We are able to clean the gutters anywhere in Scotland including areas like Edinburgh, Dalkeith and Midlothian. Our team has extensive experience and they comply with SEPA regs. At David Love Property, we make use of latest tools and equipment to help in cleaning and installing guttering and down pipes. Gutter cleaning is very important to keep property safe from water damage, both from inside and outside. It can also be obvious that gutters can also deteriorate over time, so it may be better to install a new gutter in the place of the existing one. Our team provides all the services of gutter cleaning, installation and repair. David Love Property was established to solve these problems covering the areas of Edinburgh, Dalkeith, and Midlothian. We never compromise on the quality of services we provide. We always provide the services at a competitive price and do not have any hidden charges. We are just a call away. David Love Property looks after your gutters. We are specialized in gutter cleaning, repairing and installing new gutters. We know that we are offering the best services to homes and commercial sectors across Edinburgh, Dalkeith, and Midlothian. We are also experts in cleaning gutters in apartments. Our expert plumbers use rope access to reach the difficult areas. We help you to save time and expense of scaffolding. Our main aim is to provide a complete range of gutter cleaning and installation services that our clients can rely on. To know more about our services, feel free to leave a mail or call us at 07413134394. Keeping your gutters clear and unblocked it not enough to ensure that they are in the best condition. For the optimum functioning of gutters, you should inspect them. When gutters are damaged and they are no longer effective, we can provide full new gutter installation service. We pride ourselves on offering high standard services at a very competitive price across Edinburgh, Dalkeith, and Midlothian. 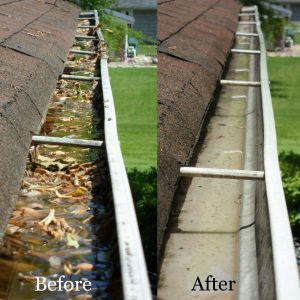 In-depth gutter cleaning is very important to keep the property safe from water damage. We generally use the ladder wall stabilizers to ensure that there is no damage caused to the gutters while we are doing our work. We guarantee not to disturb any landscaping when we are cleaning the gutters. 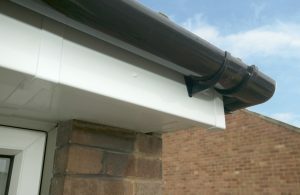 We can repair cast iron guttering or change them for plastic guttering and downpipes. Our gutter repair services include thoroughly inspecting the gutters and finding the problematic areas. We repair the areas of damage by re-sealing and re-attaching the gutters. Don’t let leaking gutters deteriorate your property. Contact us now for a quote.